Our seminars concentrate on personal development on the basis of Tantra and Western psychology. LoveCreation® is a special school of loving and living for people who expect more of life and who want to outgrow themselves. Those who come to us in our workshops, trainings and seminars have a yearning for liveliness, authentic connection and personal growth. LoveCreation® has been designed for single people as well as for couples: LoveCreation® shows you new ways for a relationship full of spirited love, eroticism and sprituality. is one of the leading and most famous Tantra Institutes in Europe. Since 1995, we have offered Tantra seminars and self-awareness courses for singles and couples. Our experience also shows in the following figures: So far, more than 3,000 people in over 300 seminars and long-term traineeships have confided in us. We offer a broad variety of trainings either to introduce you to the basic principles of Tantra or to help you find your way in personal development and spiritual growth. 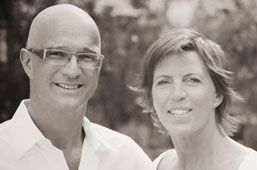 All seminars are lead by Bjørn Leimbach and Leila Bust, two experienced leaders and therapists. In our seminars, an accompanying team is there to assist you. LoveCreation® means to dedicate more of your time and awareness to love. You can discover love for yourself or with a partner. In our seminars, we provide a respectful atmosphere and a space to feel safe. Thus, you can experience and try new ways. We offer you a competent and professional leadership as well as individual or couple coachings during the seminars or afterwards. LoveCreation® leads you to the origin of love and helps you explore a free, innocent sexuality full of dignity. LoveCreation® holds the key to your own heart and to the hearts of others. We show you how to create your love life and your partnership in a way that corresponds to your desires.